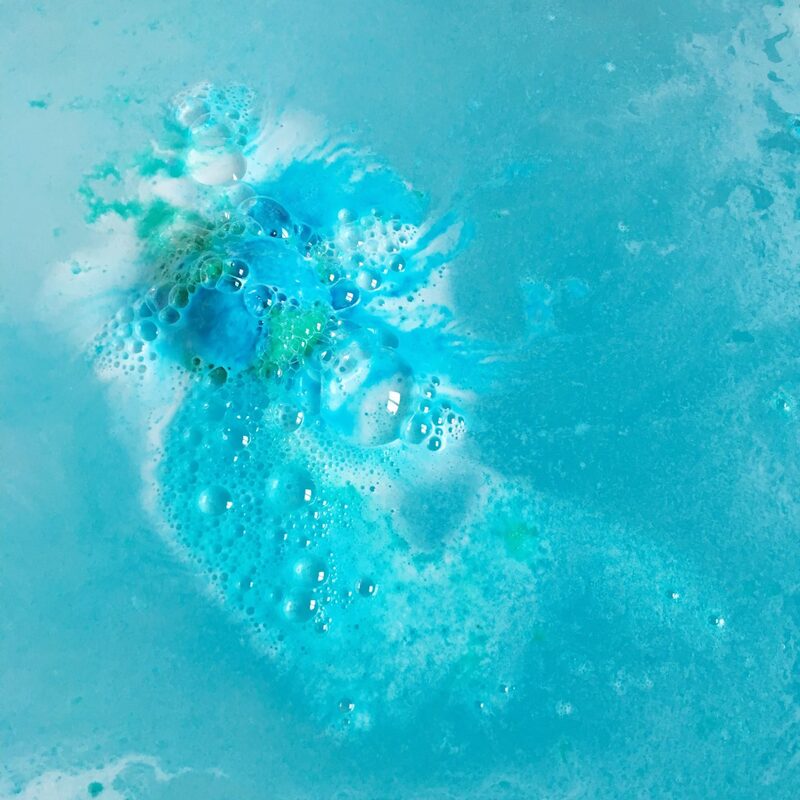 Lush The Big Sleep Jelly Bomb Review! 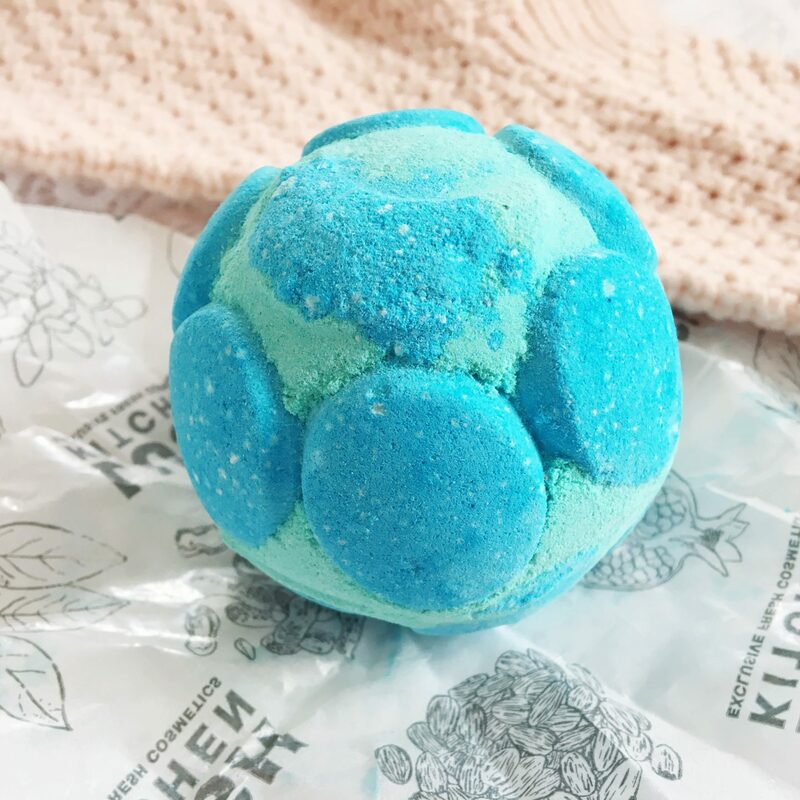 From my previous Lush haul, I was so excited to give this one a try considering it’s a new formula to the standard range as this is a ‘Jelly Bomb’. I have heard mixed opinions on these, but I wanted to try the range for myself. The jelly bombs cost £4.95, which is pretty expensive. I suppose you are getting the added jelly, so it makes sense that they cost a little more, but still. A big question that I’ve still not answered is: ‘What is a jelly bomb’? It’s a bath bomb that releases jelly, which is actually sodium alginate which comes from mineral rich seaweed (fancy.) In the water you get a layer of ‘jelly’ that you can’t really feel in the bath. This is because it dissolves once you’re in. I was left with a few of what looked like jelly cubes floating around, that didn’t seem to dissolve. This meant I had to wipe them away once I was finished. These jelly bombs take ages to fully dissolve. It had been over ten minutes and it still hadn’t full dissolved. No I don’t time my bath bombs it’s the time difference from my Instagram stories, as like I said in my haul I always record them dissolving on there. The Big Sleep is in the same scent family as Twilight. They do smell really similar once dissolved. This jelly bomb contains: ‘Lavender Oil, Neroli Oil and Chamomile Powder. So it is a really calming and relaxing scent, so this is a great one to use before bed. The bath art on this thing is insane. 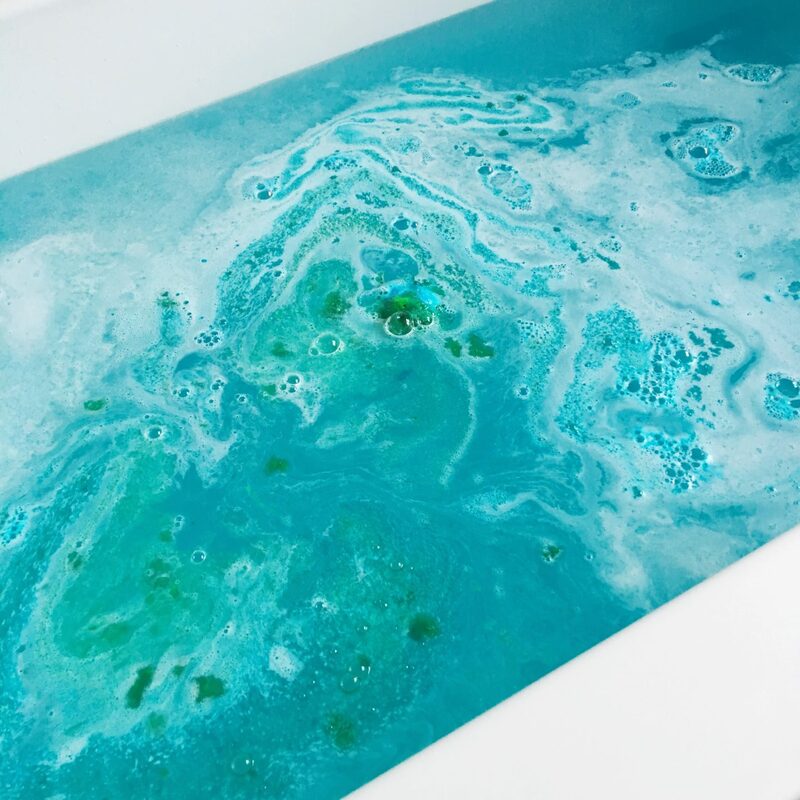 It’s instantly shooting out colours of blue and green which leave the water a beautiful turquoise colour. As it dissolved for so long, you get some really great colours. You can also see the jelly too, as that’s what the chunky green things are on the bottom picture. Overall, I really like this jelly bomb. I don’t think I’ll be repurchasing in a hurry, but it’ something that makes a nice treat. If they bring out new colours and scents then I’d definitely give them a try. 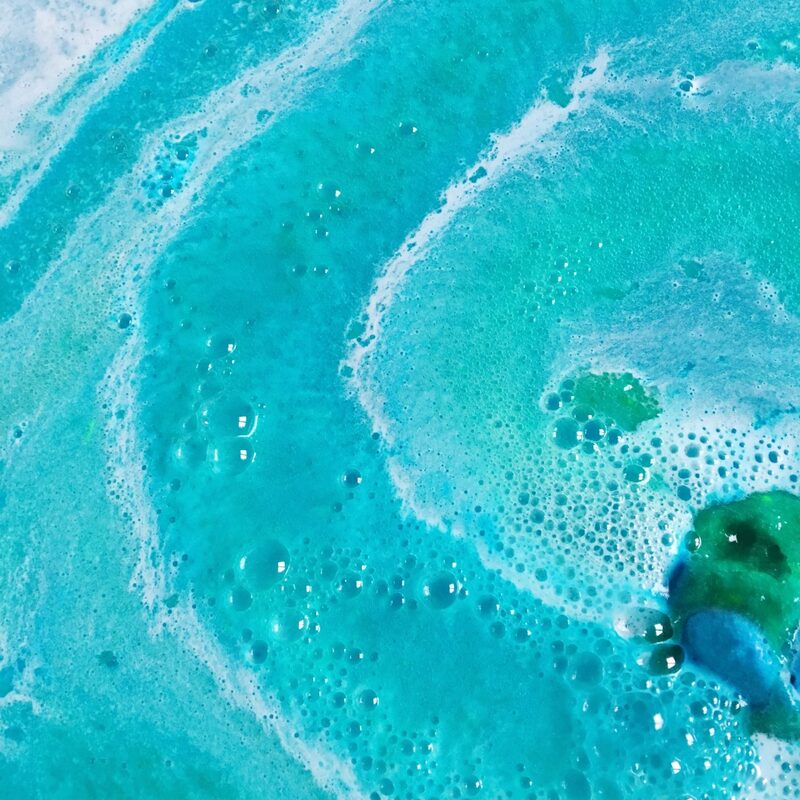 Have you tried a Jelly Bomb? It’s pretty but I hate having to clean up after and it’s really slow dissolving! Ooh I’ve not seen this one before, it looks exciting but definitely on the more expensive side! Might give it a go at some point but love their normal bath bombs so much still and still have so many to get through! 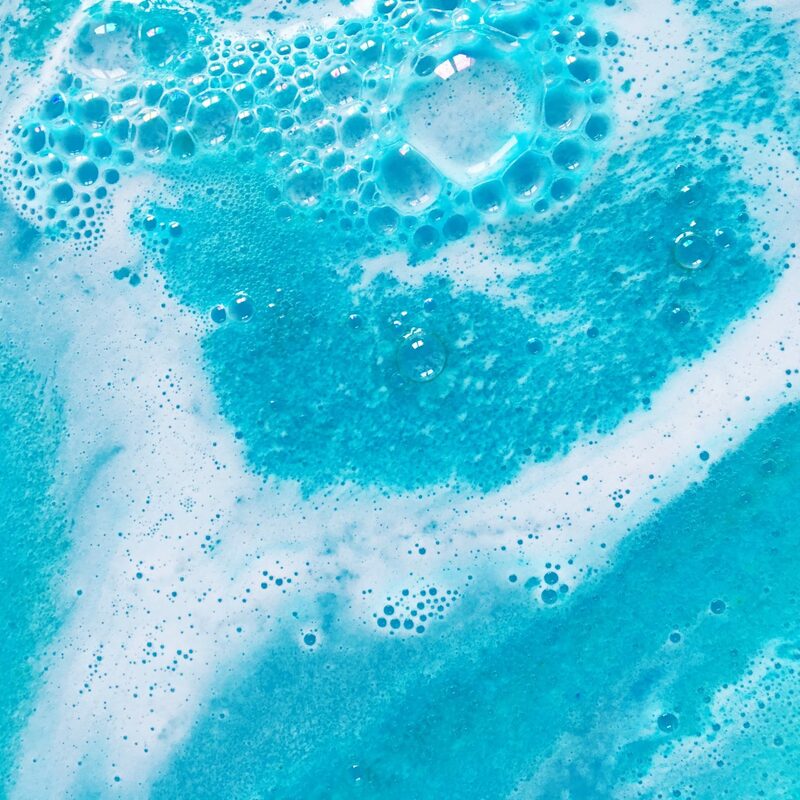 This bath bomb is so pretty! I must look out for it when i’m next in lush, its been ages since i’ve tried a bath bomb, but you’re right its a little on the expensive side! 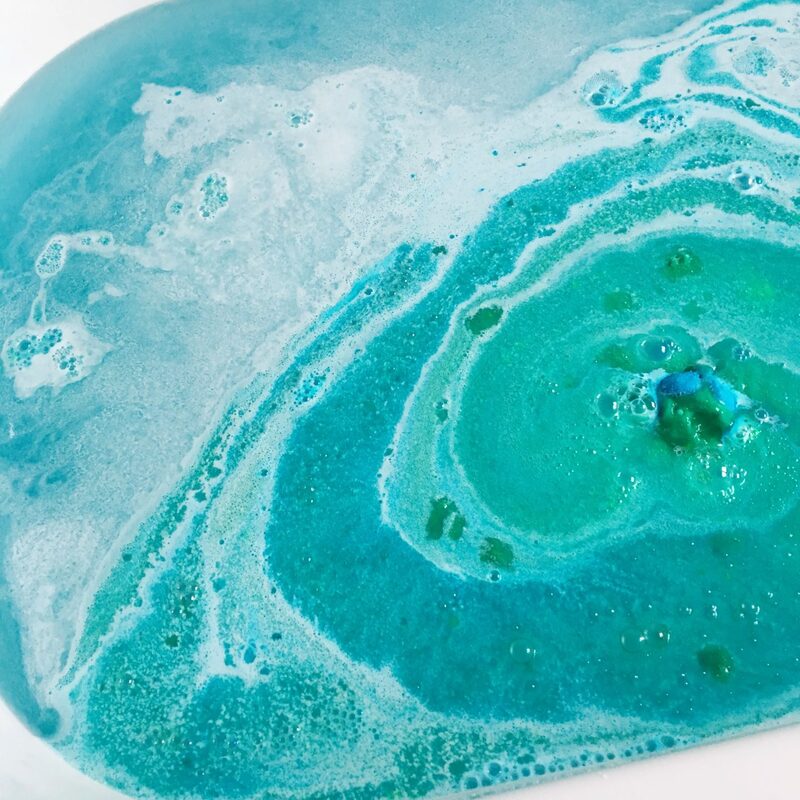 I’m really intrigued by the jelly element…..
Looks amazing in the bath though! these are so intriguing, can’t believe they’re actually like jelly. love that it’s lavender though, i love anything lavender scented! I actually haven’t heard of the jelly bomb before, but then, I don’t often go to Lush anyway 😀 I really like the color but you said it takes time to dissolve, so I may not purchase this since I really have a short attention span. I haven’t tried this bomb but this color is my favorite and looks like the perfect treat. I haven’t had a bath bomb for almost a year! 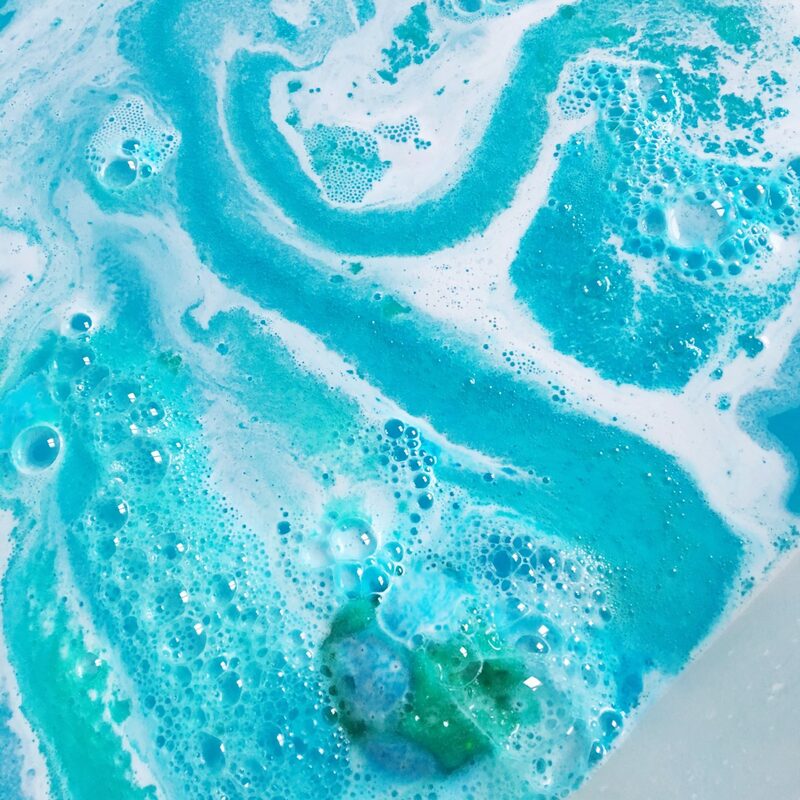 I do love lush though, the colours on this one are beautiful and the twilight-esque scent sounds perfect to me because that is my favourite bath bomb from lush.